Our experienced pedestrian injury attorneys continue to see an increasing number of pedestrian collisions that result in serious or fatal injuries. Nationwide, Smart Growth America reports 50,000 people have been killed in pedestrian accidents in the last decade, or one every 46 minutes. Pedestrian deaths have increased 35 percent during that period, while the last two years have been the deadliest for walkers since 1990. These tend to be complex personal injury or wrongful death cases both because of the seriousness of the injury and because of the common issues in establishing liability and identifying insured defendants. In too many cases, a pedestrian may even be blamed, or found partially at fault, for a collision. It’s important to note that Florida’s comparative fault law (F.S. 768.81), does not prohibit plaintiff’s found partially at fault from collecting damages, although a reward may be proportionately reduced. Florida’s mandatory minimum insurance law requires just $10,000 in Personal Injury Protection and $10,000 in Property Damage coverage, which is entirely insufficient to cover the cost of a trip to the emergency room, let along a serious or fatal injury. Nor does it require uninsured motorist (UM)/underinsured motorist (UIM) coverage. UM/UIM coverage is vital and should be carried by every motorist. This coverage protects you in the event of a collision with an at-fault party that either lacks insurance or lacks enough coverage to fully compensate you for your losses. 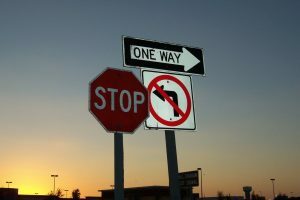 In addition to looking to an at-fault party’s insurance coverage, and a victim’s UM/UIM coverage, a Fort Myers personal injury law firm experienced in handling pedestrian collisions will also look to determine whether a dangerous intersection, faulty design, obstructed views, or other factors of causation may point to liability on the part of third parties. If you are injured in Fort Myers, contact our injury attorneys at the Garvin Law Firm at 800.977.7017 for your free initial consultation.